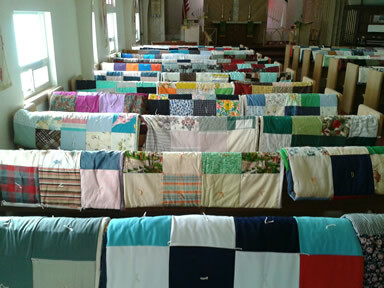 Ladies from Hope Lutheran Church make quilts for Lutheran World Relief and local organizations – Spokane Valley Partners and Mission Outreach. The ladies get together on Fridays throughout the year to work on this project. 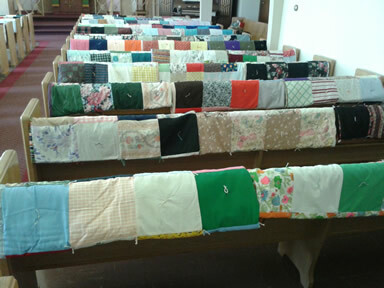 For the past few years, they have made approximately 80 quilts per year. Around 50 go to Lutheran World Relief and 30 are used locally.